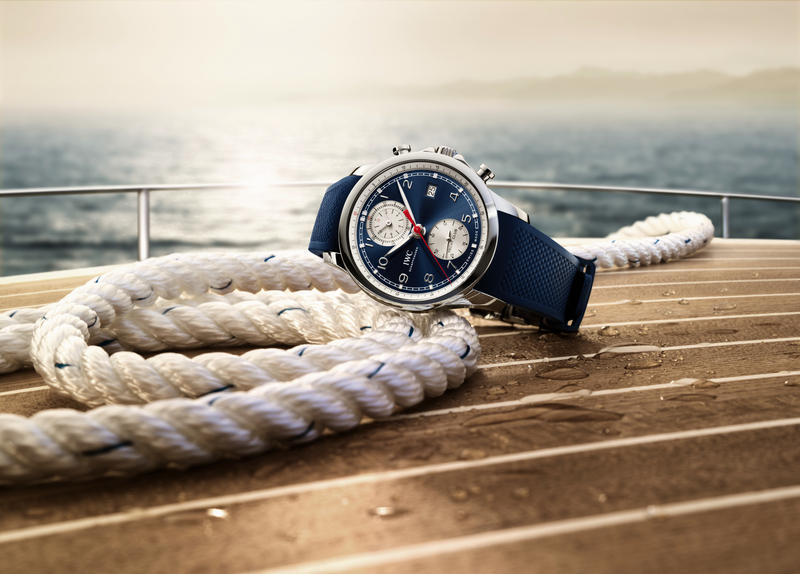 IWC Pilot's Watch Mark XVIII Edition "Hodinkee"
After seeing promotional teasers on Hodinkee’s network the past week, the advertised IWC x Hodinkee watch collaboration is now available. 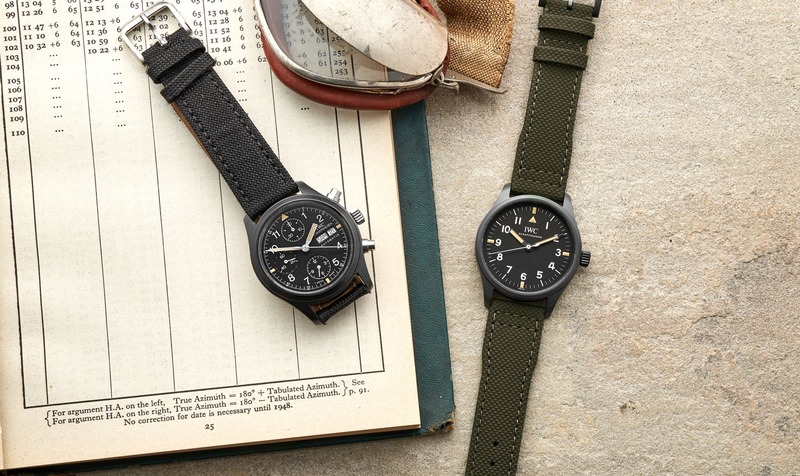 Dubbed the Pilot’s Watch Mark XVIII Edition “Hodinkee” the field watch is modern Mark XVIII that measures 39 mm x 10.8 mm, and is a nod to the original Mark 11 from 1948, as well as the Ref. 3705 Fliegerchronograph (pictured, top left). 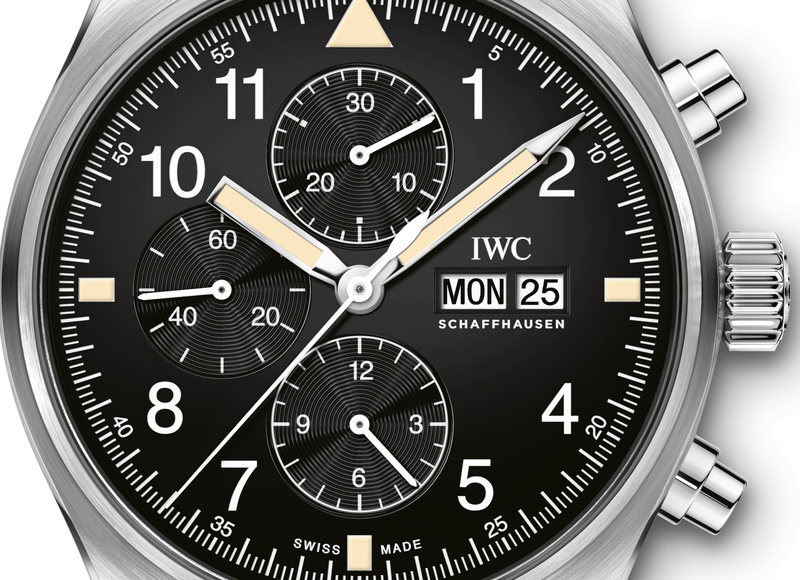 The dial, case, and overall aesthetic are inspired by the Mark 11 whereas the black scheme comes from the Fliegerchronograph, which is matte black ceramic (and was the first time ceramic was used in an IWC Pilot’s watch), but for this watch IWC’s new Ceratanium material was utilized. Ceratanium® is a titanium alloy containing zirconium oxide, and when heated the zirconium oxide hardens into ceramic distributed throughout the metal itself. The color turns matte black, and the end result is a watch that is lightweight like titanium, but with the scratch resistance and durability of ceramic. The dial displays hours, minutes, and central seconds, with no date. The solid Ceratanium caseback is engraved with “HODINKEE” and the edition number “X/500.” Driving the functions is IWC caliber 35100, based on a Sellita caliber SW300-1, not the company’s new in-house movement shown off at SIHH 2019. This is a knock considering the price, but the fact that Hodinkee co-branded watches tend to sell out so fast, I think both companies knew they could achieve a sell out, even without the in-house movement. And the justification may be the additional cost to make the ceramic-alloy case. Although, it still would have been nice to see the higher value manufacture movement. Retail is $6400. 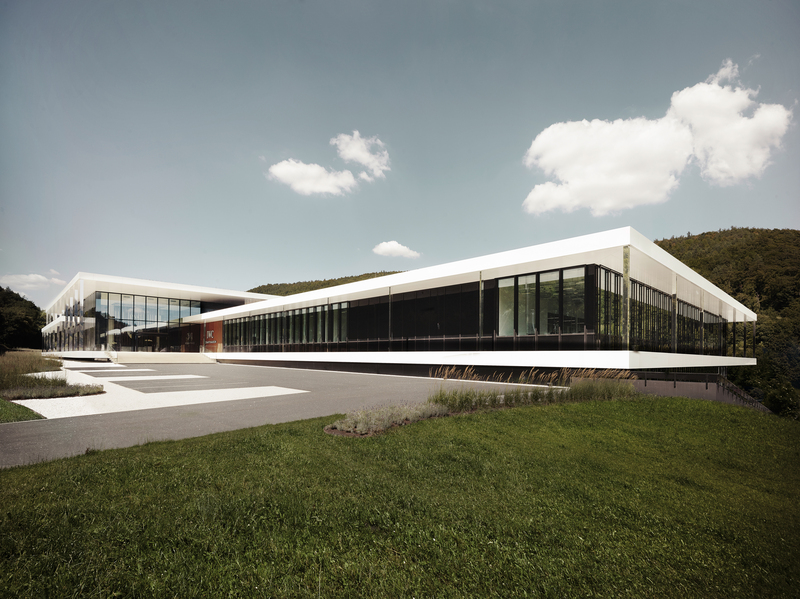 Learn more at Hodinkee. Next articleEditorialWhy do some watch companies choose such complex names?